The government has justified its intention to control migration using a salary threshold as being consistent with public opinion. Yet this does not seem to be the case, writes Johnny Runge. He discusses new research on public perceptions of ‘skill’, and explains how these are at odds with policy proposals. Conventional wisdom has it that that British people are strongly against low-skilled migration, but much more accepting, and even supportive, of high-skilled migration. This preference continues to influence policymaking, as the government seeks to introduce a new skill-based immigration system post-Brexit, aimed at reducing the number of low-skilled migrants. This proposal to set strict limits on low-skilled migration has been justified on the grounds that it’s “consistent with the public view”, and indeed all reputable opinion polls show that the UK public are in favour of a crackdown on low-skilled migration. But what exactly do people mean when they say they want low-skilled migration reduced? As part of an edited collection on post-Brexit immigration policies, my colleagues and I have published a paper presenting findings from our survey and focus group research with Remain and Leave voters. We conducted 12 focus groups with a total of 105 local participants in Sittingbourne in Kent. Our sample (recruited by a market research company) reflected that 62.5% of voters in the local area voted in favour of Brexit, and it was also broadly balanced in terms of age and gender. Based on this research, we show how the public and the government are talking at cross-purposes when it comes to ‘skill’, leading to questions about the validity of current skill-based policy proposals. The concept of skill is much less clear than you might expect. Even experts don’t agree exactly what skill means. It’s a very ‘slippery’ term that can refer to a range of qualifications, competencies, attributes and characteristics, ranging from credentialised skills to soft skills, and influenced by the individual’s sector and pay level, or by employer preferences. The government’s immigration proposals essentially define skill in terms of qualifications and a salary threshold of £30,000. But this is just one way to define skill. And as many commentators have pointed out, the threshold is well above UK’s median full-time wage of about £28,000: “it doesn’t just hit fruit-pickers and baristas but butchers, primary school teachers, radiographers and so on.” It should be noted that given nurses are currently exempt from the £30,000 minimum salary requirement for current Tier 2 work visas, this could presumably also be the case for EU citizens under a new system, especially given the migration proposals would put hospital services at risk. In light of the disagreements about the definition of skill among experts, it is not surprising that recent focus group research by the (National Institute of Economic and Social Research found that public perceptions of skill are similarly fuzzy and vary quite widely. Our focus group participants did express views about the relative value of migrants based on skills criteria. However, they rarely referred to salary levels, but instead focused on migrants’ ‘contribution’ to the host country’s economy and labour market. When introducing the proposals, Theresa May also referred to contribution of migrants: “We will be deciding who comes here. That decision will be based not on where somebody comes from but on the contribution they will make to our economy. And so it will be a skills-based system.” But while the Prime Minister understands ‘contribution’ and ‘skill’ based on salary and qualifications, the examples given by our focus group participants were quite different. They focused on public service occupations such as nurses, social care workers and teachers, but they also included less ‘socially useful’ jobs which migrants do to meet labour and skills shortages, for example fruit picking and serving food and drink. Indeed, other recent research has found that people express more support for low-skilled immigrants when questioned about specific jobs rather than in generic terms as low-skilled work. This suggests that the low-skilled label carries negative connotations (and the high-skilled label positive ones), probably reflecting the use of such terms throughout decades of public debate. Our research found that, in many people’s minds, low-skilled migration is short-hand for other negatively-viewed characteristics such as low contribution, benefit ‘scrounging’ and benefit tourism, and illegality. It is clear that the government’s interpretation of low skill, measured according to a minimum salary of £30,000, is at odds with the public’s more nuanced and complex view, centred around a more nebulous concept of contribution to the economy and the community. Given the likely impact that restricting low-skilled migration will have on employers and the economy, it therefore seems unwise for the government to give so much credence in its proposals to a view of public preferences which is simplistic at best and mistaken at worst. This points to a broader problem about how public opinion is translated into policy. Its nuances, complexities, and contradictions are difficult to accurately capture in opinion polls and therefore to build into the policymaking process. Of course, the government is acutely aware of this dilemma, as it currently grapples with how to honour the referendum decision to leave the European Union. When the dust has settled, and Brexit is no longer absorbing the oxygen needed to address other problems, government and parliamentarians should reflect on how to avoid interpreting public preferences in their most simple form. Doing so is a disservice to the public and will lead to policy that neither reflects their preferences and fails to meet other economic, political and social objectives. Note: the full report on which the above draws is available here. 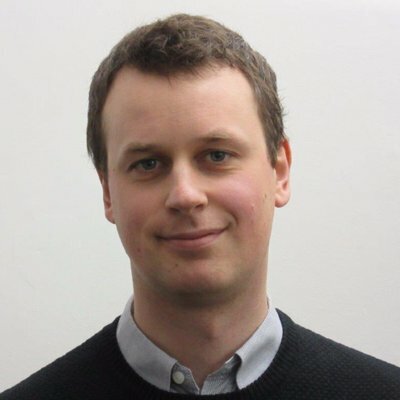 Johnny Runge (@JohnnyRunge) is a Social Researcher at the National Institute of Economic and Social Research (NIESR). Today is the last day of the current EU Parliament’s session. They’re gone – they’re off … just like our MPs are ‘on holidays’. Nobody ‘at home’ to vote on anything. “The European Council of Foreign Affairs has warned would-be MEPs there could be as many as 97 million swing voters to convince ahead of May 23-26 ballot. According to the in-depth study, 54 percent of voters will have “no faith in politicians and political systems at both a national and European level” or “would like to see a reparation of power from Brussels”. One of the study’s authors, Susi Dennison, has warned that EU politics finds itself in a “highly precarious moment of system failure”. Therefore we can predict with some confidence that the election campaign here and across the EU will be ferocious. Here is a taste of things to come: “Spain has banned the far-right Vox party from TV debates. Why don’t we do the same to Ukip and Nigel Farage?” writes someone in the Independent who is not exactly interested in Free Speech. I am of course not suggesting that the leaders of our ‘loyal opposition’ would ever even think of doing such thing here in our country … but in your talks with Remainers you might ask them if they really want to stay in an EU where a country’s government can so blatantly disregard the EU’s own Human Rights. Staying with the EU and the EU Grandees who have presided over Ms May’s BRINO debacle, there’s a TV documentary by an EU broadcaster called ARTE with some interesting revelations – mostly self-serving, as one would expect. The Express has published a couple of reports with video clips homing in on those Central figures, e.g. M Barnier (here) and Mr Tusk (here). So their hands, in their own minds, are clean, it’s all our fault for daring to vote Leave. This is confirmed by an article in the German National broadsheet ‘Die Welt’ where, using a machine translator, we read yesterday that “Only the State is growing in Germany’s Economy”, see also this report in the Express. It goes without saying that this is because of Brexit … but gives a clue as to why Germany and the EU want to keep us In. I had to rub my eyes and read it again – but yes, ‘tis true (see also this report) – he did say that. Well, that’s his goose cooked then, as far as Ms May and our Remain government is concerned. A pity. Meanwhile, according to RemainCentral, The Times, the only noteworthy Brexit ‘event’ was a meeting of the Speaker of the House of Representatives, Nancy Pelosi, a Democrat, with representatives of the ERG. She had visited Dublin before, making reassuring noises to the Taoiseach about how she’d do everything to help with that dratted border. “Mr Francois did not deny the incident when asked for his response. He said: “We had a good discussion with Speaker Pelosi and her delegation in which she kindly said twice, ‘You guys have been the most consistent of anybody we have spoken to since we’ve been here’. However, a number of the delegation had clearly visited the province prior to 1998 and made constant references to a hard border, including some cases of barbed wire and watchtowers. We did our best to point out that no one was contemplating any such arrangement on the border including Leo Varadkar who has said himself that no such infrastructure would be necessary.” Ms Pelosi’s spokesman declined to comment.” (link, paywalled). These are the Brexit news: everybody is on their Easter Holidays, nobody is doing anything except gossip. But: please do use the material provided here to confront – in a most polite way, of course! – your Remain adversaries. As always – it’s up to us to win this battle. The post YOUR DAILY BREXIT BETRAYAL – Maundy Thursday 18th April 2019 appeared first on Independence Daily. Jack Copley explains how the Callaghan and Thatcher governments in the late 1970s were concerned by the worsening performance of British industrial exporters, and so exchange control abolition constituted a strategy to depreciate sterling and boost export competitiveness. Exchange controls – restrictions on the purchase or sale of currencies – have been thoroughly delegitimised as an instrument of economic management amongst advanced capitalist states. A state’s implementation of exchange controls is generally seen as a sign of that economy’s ‘emerging’ status, a temporary measure to respond to a severe crisis, or an indication of a development model that radically diverges from contemporary liberal ‘best practice’. Indeed, Argentinian President Mauricio Macri’s dismantling of his country’s currency controls after his election in 2015 was intended to signal Argentina’s entry into the modern capitalist world after more than a decade of populist interventionism. Yet this has not always been the case. Following the Second World War, exchange controls were commonly employed by states to manage the exchange rate and balance of payments, despite IMF rules that sought to phase them out. Such controls constituted an important instrument for states as they sought to reconcile the globally interconnected economic order of Bretton Woods with national democratic politics. How did exchange controls fall so dramatically out of fashion? Political economy literature has tended to focus on two factors. Firstly, in the 1970s states began to compete to attract mobile capital flows by pursuing a deregulatory race to the bottom. Secondly, the rise of neoliberal ideas during this same period, within both national policy-making circles and international organisations, acted to stigmatise exchange controls and capital controls more generally. Britain occupies a special place within this conventional explanation. The British abolition of exchange controls in 1979 was amongst the earliest deregulations of this kind, and thus acted as an important domino in the global dismantling of currency controls. Further, the British case is said to best exemplify the combined role of competition and ideology in motivating exchange control liberalisation, as this policy was supposedly driven by a competitive desire to promote the City of London as a global financial centre and the Thatcher government’s commitment to neoliberal principles. My research challenges this dominant explanation of Britain’s scrapping of exchange controls. I argue that this radical deregulation, which was actually implemented in four stages from 1977-9 by the governments of James Callaghan and Margaret Thatcher, should be understood primarily as an ad hoc, pragmatic attempt to address the serious governing dilemmas generated by the stagflation crisis. The British state faced two major problems in the late 1970s: rising inflation and low rates of profit. Additionally, sterling began to rise in value following the 1976 IMF bailout and the discovery of North Sea oil, which aided in the fight against inflation, but exacerbated the profitability crisis by further reducing the competitiveness of UK exports. In this context, the scrapping of exchange controls was a double-edged sword. By abandoning controls on the sale of sterling, the value of the pound could fall, which would aid British exporters; yet this would compound the problem of inflation by raising the price of imports. Archival evidence suggests that both the Callaghan and Thatcher governments prioritised the export competitiveness problem, at the expense of inflation. The potential benefits for the City of London and the influence of neoliberal ideology played secondary roles in motivating this deregulation. However, two barriers stood in the way of this strategy to lower the value of the pound. First, the Trades Union Congress was strongly opposed to the liberalisation of exchange controls, as they saw exchange controls as an important element of a much needed industrial strategy. Second, in a context of floating exchange rates, any attempt to manufacture a depreciation of sterling could frighten money markets and result in a run on the pound. The Callaghan government was ultimately impeded by these obstacles. The Labour Party’s close ties with the unions, combined with the fact that their incomes policy was already putting a terrible strain on their relations with the Trades Union Congress, meant that they were wary of further incensing the labour movement through an aggressive policy of exchange control liberalisation. Furthermore, Callaghan’s administration failed to come up with a strategy to pursue this competitive depreciation of the pound without spooking global markets and risking a sterling crisis. The result of this combination of pressures was Labour’s limited relaxation of exchange controls in October 1977 and January 1978. The Thatcher government had much more success in pursuing this policy. The problem of an opposed trade union movement had significantly eased following the Winter of Discontent. Additionally, the Conservatives forged a rhetorical strategy that they believed would allow them to put downward pressure on the value of sterling without frightening global markets. Key members of the Thatcher government publicly declared that exchange control liberalisation was motivated purely by laissez-faire notions of responsible economic management, rather than a pragmatic desire to boost British exports. This strategy was remarkably successful, with Thatcher’s supporters and critics united in their belief that this policy was indeed driven by a deep commitment to neoliberal principles. The government hoped that this discursive strategy would act to reassure currency markets, and thus allow for a gradual diversification of investment out of the pound, rather than a full sterling crisis, with the ultimate objective of easing the terrible pressure on UK exporting firms. Confident in the success of this strategy, Thatcher’s administration took a ‘leap in the dark’ in July and October 1979 by fully scrapping exchange controls. The UK’s abolition of exchange controls is widely understood as a crucial juncture in the creation of a global economy in which capital flows freely across national borders. Yet this policy was not primarily designed to privilege the City of London’s business nor can it be simply categorised as an expression of Thatcher’s laissez-faire credentials. Rather, this liberalisation was pursued by both Conservative and Labour governments as a strategy to postpone the worst effects of the global economic crisis of the late 1970s by boosting the competitiveness of British exports through sterling depreciation. 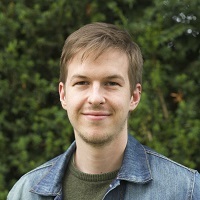 Jack Copley is Early Career Fellow at the Institute of Advanced Study, University of Warwick. His research interests include the political economy of financialisation, state theory, Marxism, and British politics. He has published in New Political Economy, British Journal of Politics and International Relations, Environment and Planning C, and Capital & Class. All articles posted on this blog give the views of the author(s), and not the position of LSE British Politics and Policy, nor of the London School of Economics and Political Science. Featured image credit: Wikimedia Commons. The author of this article is Harry Western. This article was first published in Briefings for Brexit and we re-publish with their kind permission. The International Monetary Fund has produced another analysis suggesting that a no-deal Brexit would lead to steep short-term declines in UK output. As before, its claims look exaggerated with some elements of their work not standing up to serious scrutiny. The IMF estimates are based on a host of highly pessimistic assumptions, some of which are out of date while others are not supported by academic evidence or real-world examples of how trade works. Worse still, some of the numbers the IMF uses – for example those related to ‘border disruptions’ – appear to be plucked from thin air. Claims about the effects on the financial sector are based on sloppy analysis and look utterly implausible. In its April 2019 World Economic Outlook, the IMF has produced an analysis of the economic effects of a ‘no deal’ Brexit. Predictably, it is very negative and predictably it is based on a host of highly pessimistic assumptions. Parts of the analysis are downright sloppy and in some cases the IMF can justifiably be accused of simply plucking figures out of thin air. The IMF produces two scenarios, a scenario A with no border disruptions and only limited financial market effects and a scenario B with large-scale disruptions and more severe financial effects. Both end up with UK GDP being around 3.5% below the IMF’s baseline forecast by 2021, with a temporary and deeper initial decline in output in scenario B. Their estimates imply full-year recessions in the UK in both 2019 and 2020. What kind of assumptions are needed to generate such massive effects on UK GDP? Trade barriers: the IMF assumes that the EU applies its standard tariffs (which average 3-4%) to UK exports straight away, with the UK mirroring these tariffs after a year – for the first year the UK is assumed to impose only its relatively liberal no-deal tariff schedule recently published. Non-tariff barriers to trade (NTBs) equivalent to 14% of trade values also appear. This is on top of 10% NTBs the IMF already assumes will materialise in its baseline forecast – so the IMF is claiming total NTBs facing UK exporters to the EU after Brexit will average a colossal 24% of trade values. Our take:the IMF’s assumption that the UK will ditch its relatively liberal no-deal tariff schedule and opt for increased protectionism after a year is arbitrary and unjustified. IMF claims about the likely scale of NTBs are extreme. Detailed work by Kee & Nicita (2017) shows that the average tariff equivalent of NTBs facing UK exporters to the EU, weighted by imports, would be just 3.4%. Other recent model-based studies also have NTBs in a 3-8% range. A detailed study of post-Brexit NTBs for several sectors in the Netherlands found they might total only around 1% of trade values. With UK and EU regulatory systems fully aligned at the moment of Brexit, claims of massive NTBs are even harder to justify. Many UK firms have also completed work-arounds to avoid such NTBs including switching testing and certification to EU-based bodies. The Bank of England’s latest survey showed 80% of firms were as ready as they could be for a no-deal Brexit. Trade elasticities: the latest IMF study does not say explicitly what effect the rise in trade barriers it assumes will have on UK exports. But their previous workdoes, as it presents estimates of the price ‘elasticity’ of demand for UK exports to the EU. These estimates are around 4 for goods and 5 for services, meaning that a 1% rise in the price of UK exports would cut demand by 4-5%. On that basis, the rise in trade barriers the IMF assume would lead to a huge decline in UK exports to the EU. Our take: the elasticity estimates are extremely high and contrast sharply with many academic estimates that point to UK exports being relatively price inelastic. These include Kee and Nicita, Aiello et al., and Imbs and Mejean. Typically, such studies suggest price elasticities for UK goods exports of 0.5-1.5 i.e. between an eighth and two-fifths of the IMF numbers. For services, the Bank of England finds a very low degree of price sensitivity of UK exports. Trade deals: the IMF assumes the UK loses ‘most’ third-country free trade agreements in place via EU membership, with these being replicated only after two years. Our take:the IMF’s assumption on EU free trade deals is inaccurate and out of date. EU free trade deals currently cover about 9% of UK trade (not 15% as the IMF claim), and 11% if the Japan FTA is included – which will only abolish tariffs over several years. The UK has already agreed rollover deals covering 60% of the 9% of UK trade covered by these EU deals, which will rise to 70% when the Canada deal – believed to be imminent – is agreed. Financial services: the IMF appears to be assuming incredibly negative impacts on the UK financial services sector. In their 2018 study, they claimed that UK financial services exporters would face NTBs of 50% of trade values, with their output down 25% in the long run compared to a baseline where the UK stayed in the EU. Our take:the IMF’s numbers here are totally implausible. The IMF relates them to the loss of ‘passporting’ rights for UK financial institutions, but the great bulk of UK financial services are of a wholesale nature and so are little affected by passporting which relates more to retail financial services. For retail activities there are also low-cost workarounds. The IMF’s estimates are based heavily on a consultancy report by Oliver Wyman which is now widely discredited. That report claimed Brexit would lead to 75,000 job losses in the City of London, but the latest estimatessuggest a total of just 2000 roles have moved or been created overseas – a fortieth of the Oliver Wyman claims. Relying on this poor-quality report to calibrate such an important element of their work is sloppy practice by the IMF. Financial market effects: in its more adverse ‘scenario B’ the IMF claims UK sovereign bond spreads would rise by 100 basis points and corporate bond spreads would rise by 150 basis points. Our take: again, these numbers do not look plausible. In the aftermath of the 2016 referendum these spreads did initially show some ‘knee-jerk’ widening – but only for a very short period; the effect had unwound within a few weeks. The Bank of England helped this along with a modest programme of quantitative easing (including buying £10 billion of corporate bonds) and would have ample scope to repeat such an exercise if needed. Border disruptions: the IMF’s ‘scenario B’ features ‘border disruptions’ that cut 1.4% of GDP in the first year and 0.8% off in the second. Our take: here, the IMF appears to be essentially plucking figures out of the air. The numbers appear to be related to estimates the Bank of England presented in late 2018, which were treated with great scepticism at the time – including by Nobel Laureate Paul Krugman – as they had no obvious evidential base. To make matters worse, the Bank then abruptly halved its estimates a few months later – again with little or no quantitative evidence to back this up. Claims of massive border disruptions ignore the very significant progress made in preparations by governments and businesses over recent months. These include new systems developed by Eurotunnel and the port of Calais to ensure smooth movement of goods, substantial expansion of facilities by the port of Rotterdam, the UK’s accession to the Common Transit Convention, new streamlined systems introduced for VAT and customs by the UK’s HMRC, the planned waiving of import duties on 87% of goods by the UK, UK-EU agreements on air and train travel and the UK’s recognition as a third country by the EU for animal and plant trade. It is also not credible to assume disruptions would last for two years ­– behavioural changes and new agreements would mostly limit the timescale to a few months. Policy responses: the IMF assumes UK interest rates are lowered in response to the negative impact of a no-deal Brexit, and that fiscal stabilisers are allowed to operate (so that the budget deficit rises ‘passively’). But no other policy responses, such as quantitative easing, are included in their analysis and the analysis also assumes the UK does not strike any new trade deals in two years. Our take:ignoring the potential for the Bank of England to respond to any no-deal downturn with quantitative easing has no justification and looks like merely a convenient way of keeping the results a negative as possible. In practice, we know the Bank would do this, exactly as it did after the 2016 referendum result. Discretionary fiscal stimulus would be extremely likely too, especially given that the UK budget deficit has narrowed to less than 2% of GDP – there is plenty of room for it. In conclusion, the IMF’s results are based on extremely pessimistic assumptions including trade barriers and trade elasticities that are as much as five times too high. The IMF has also added on massive ‘disruption’ effects and financial sector effects that have no proper basis in quantitative work at all. With most policy mitigations and potential Brexit upsides also assumed away, we are left with a skewed and in places somewhat shoddy analysis. The IMF unfortunately has form in this area, having often ‘fitted’ its analysis to a particular political imperative. Its systematic exaggeration of growth prospects in countries receiving IMF funds – most dramatically, and embarrassingly, in the case of Greece – is a good example. Their latest Brexit analysis comes from the same stable of politically convenient analyses and is best filed under ‘ignore’. The post The IMF’s latest no-deal warnings are sloppy and overblown appeared first on Independence Daily.